Need a power boost to achieve your resolutions faster? 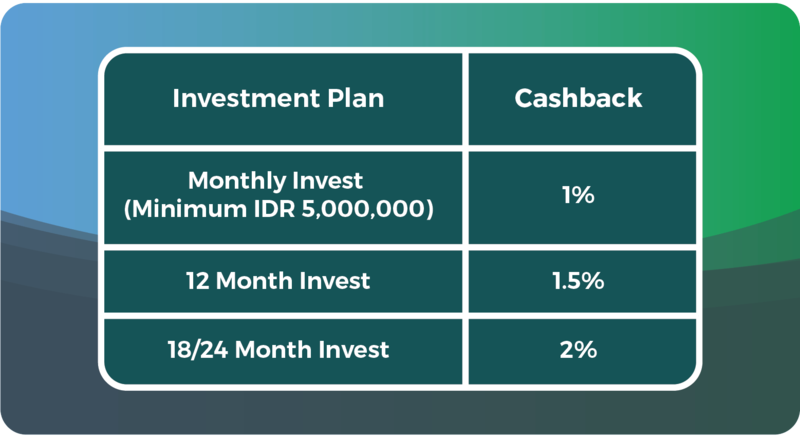 Get a return of up to 12.5% per year plus a cashback of up to 2% by investing a minimum of IDR 5,000,000 in loans via MEKAR. All eligible funders will receive a cashback based on the total amount of investment they make during the offer period. Cashback will be credited to your Mekar Virtual Account on 23 January 2019. This offer is not available for staff members of PT Mekar Investama Sampoerna or PT Sampoerna Wirausaha.